Offering you a complete choice of products which include ss stone cladding clamp and ss 304/316 stone cladding clamp. Material product and as required . Supported with immense domain experience, we are instrumental in offering Stainless Steel Stone Cladding Clamp that are used for providing support to pipes and tubes. 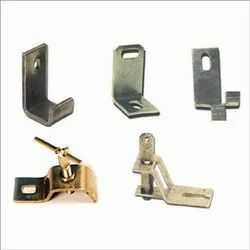 The offered cladding clamp is one of the finest products of our company that is manufactured using optimum grade raw material with the support of our experts. 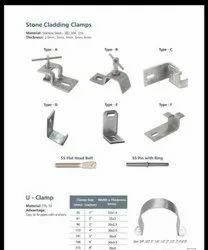 Our offered Stainless Steel Stone Cladding Clamp is thoroughly inspected on different parameters prior to dispatching the delivery from our end and is made available in various dimensions as per the requirements of our clients at an affordable price range. Manufacturer of Expansion fasteners ,Bolt Nut , Screw , Rivets , and Washer etc. in SS , Hightensile, MS, Hot Dip ,Gi,Brass .